A few months back IRCTC released its Windows Phone App and left people wondering why it chose to launch the app on Windows Phone platform instead of most popular OS in the world. A lots of people are who waiting for its Android App and it seems that the wait is about to get over soon. 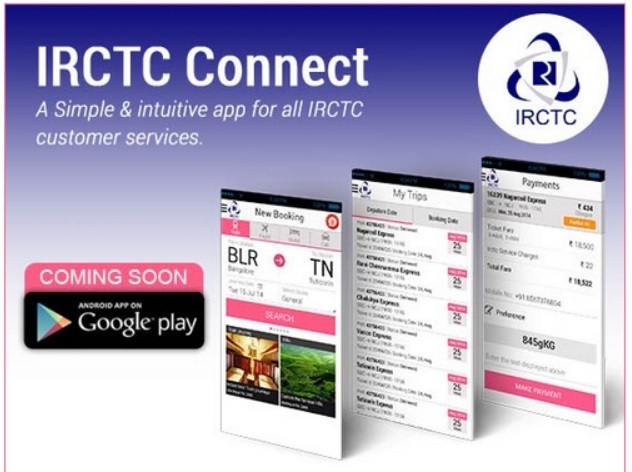 We got a mail from IRCTC mentioning that it will soon come with its IRCTC Connect Android App. Were you waiting for IRCTC’s Android App, do let us know in the comment section below.